Results of a poll closed earlier this afternoon on Elk Grove News showed mixed reactions to a proposal that will be heard by the Elk Grove City Council that would lower speed limits on several streets in the city. Below are the questions and the results of the unscientific poll that was conducted over a five day period. There were 39 respondents to the poll. While 53-percent of respondents said they would support lower speed limits in the city, a majority of those, 30-percent of total respondents, said they would do so only if red light cameras placed at several intersections throughout the city were removed. A universally unpopular traffic enforcement tool with motorists, several California cities have removed the controversial devices in the last few years. Of the 46-percent in opposition to lowering speed limits, 33-percent of the total respondents said current speed limits and safety are adequate and 13-percent said they felt the speed reductions would be used as an excuse for police to pull over more motorists and possibly generate more fees for the city. The Elk Grove City Council will consider the matter at tonight's meeting that starts at 6 p.m. In my research I have found that studies show that traffic moving at a speed that is reasonable for the road and weather conditions results in fewer accidents. Drivers are more patient because a reasonably uniform speed allows progress with less passing, less delay, and fewer rear-end collisions. 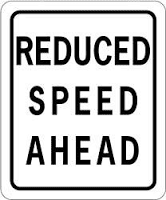 Many people believe that lowering posted speeds will mean fewer accidents, but studies do not prove this. Unrealistically low speeds frustrate many drivers, resulting in numerous speeding violations and unsafe driving, actually causing more accidents. Some motorists may try to make up time by taking a shortcut through residential or other areas that are not suited to higher speeds and increased numbers of cars. I see no reason for the city to make so many changes at one time...do one heavily traveled street at a time and give people time to become aquainted with the change. I would hope this decision would be made on more than the speed limit either at or below the speed driven by 85 percent of vehicles surveyed.